If you drive a MINI, you know you’re operating a highly tuned and efficient vehicle. You also know that not just any auto mechanic can perform auto repairs on your MINI. The MINI service at Walker Automotive is highly rated because our auto mechanics have the most up-to-date training and experience. And our auto repair shop can handle just about any service your MINI requires. The auto mechanics at Walker Automotive are all ASE-certified technicians, plus we have two full-time service advisors. We are Triple AAA-approved and are members of Automotive Service Association (ASA), so you can rest assured that your MINI is in good hands. We also subscribe to Identifix, which gives us access to a comprehensive online repair database as well as a repair hotline service featuring 45 OE factory-trained, ASE Master, L1 Carline Specialists. So, be confident that the MINI service we can perform at Walker Automotive is the best of its kind. “Always courteous. Always let's me know what needs to be done now and what is in near future. Don't recall when I ever had to go back with a problem they repaired. First class.” -- Sherman G.
The bottom line is, for the courteous customer service, the most knowledgeable and skilled auto mechanics, and exceptional follow-up service, you can’t get any better than Walker Automotive in the New London and Wilmot areas. 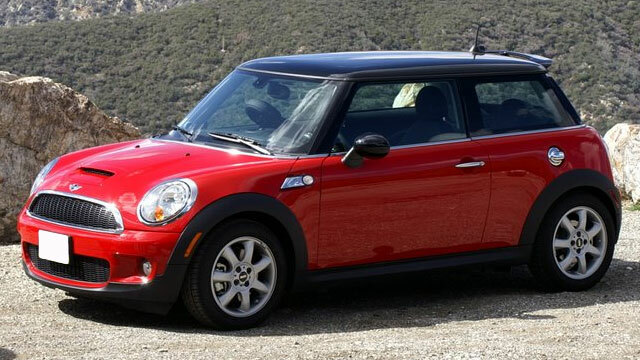 To perform any kind of auto repair on your MINI, call us or schedule an appointment online. Walker Automotive is located at 3 Deerwood Drive, Wilmot, NH 03287.